'Creole' currently being moored in Palma, Majorca. Ratsey has enjoyed a long association with the the stunning three-masted schooner Creole. Commissioned in 1926 American yachtsman Alec Smith Cochrane, a prolific owner of his day. Originally launched as “Vira” designed by Charles Nicholson of the eponymous Camper and Nicholson yard, this was to be a boat of his dreams. Controversially the mast height was dramatically reduced from the original conception in order to reduce the weight of the keel lead required and allow for a reduced crew. The boat thus started life with a revolutionary sailing plan that allowed it to be sailed by a limited crew (that plan can be seen today). Still the original crew numbered 21 including waiters, chefs and cooks and 10 sailors. In 1928 Major Maurice Pope purchased her back in English waters and promptly renamed it Creole- he ordered the masts to be lengthened and added four cabins below deck. Further owners returned Creole to it’s original design and under the name of Magic Circle the yacht was requisitioned during the war to transport troops and supplies by the Royal Navy. A greek shipping magnate refitted her after the war and Salvador Dali, no less, was involved in it’s interior decoration. Frequented by the jet set crowds of the last century including King Juan Carlos of Spain and Queen Sofia who spent some of their honeymoon on board. 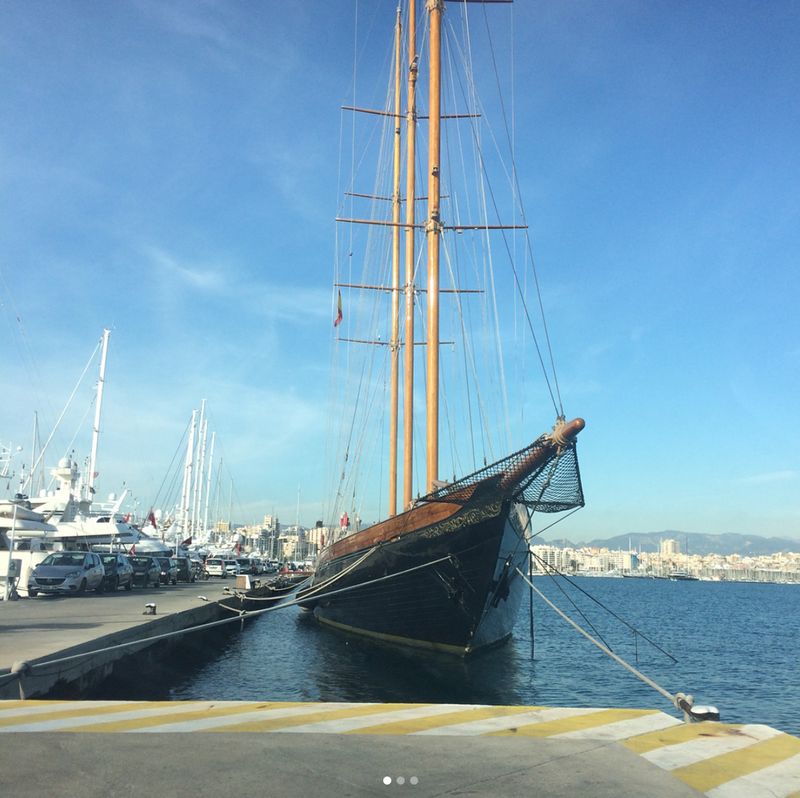 Lovingly restored by it’s current Italian owners Creole is now based in Palma, Majorca. Throughout her life, Ratsey and Lapthorn have supplied Creole with a great number of sails since her launch over ninety years ago. Brynhilde new sails a success in Antibe.